This article about the Future of Compliance was originally posted in the March 2018 edition of ‘inCOMPLIANCE Quarterly’, a Magazine published by the International Compliance Association (ICA). 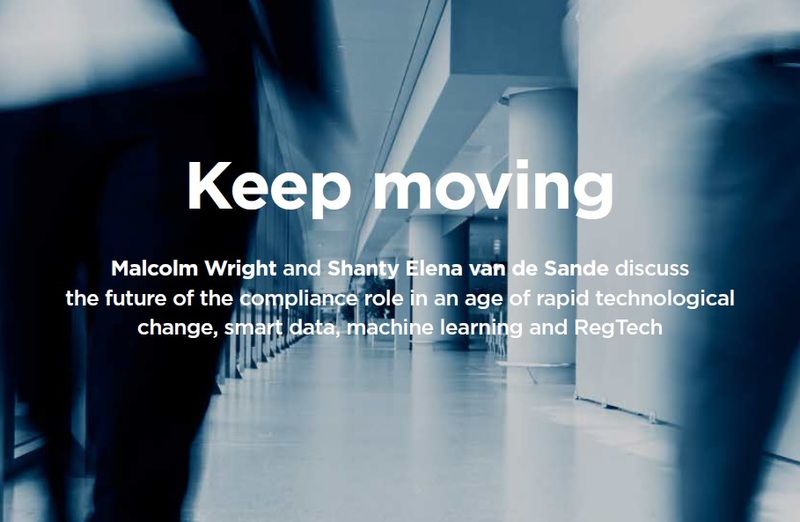 Malcolm Wright and Shanty Elena van de Sande discuss the future of the compliance role in an age of rapid technological change, smart data, machine learning and RegTech. Malcolm Wright is Chief Compliance Officer at Revolut. He also sits on the Future of Financial Intelligence Sharing program advisory board and the UK RegTech Council. Malcolm regularly speaks and writes on compliance topics.